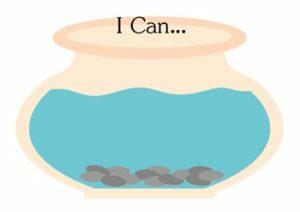 This free download is part of my Fish Frenzy Kindergarten Math Common Core Counting and Cardinality Math Centers (95 pages of activities for each standard for $8). This portion is the “student data folder”. Copy the large empty fish bowl one per student. Then copy a sheet of the fish per student. As students are able to do a part of the K.C.C. standards they receive a fish to put in their fishbowl. It is my hope that you and your students will enjoy this form of keeping track of what they can do. Please leave me some feedback to let me know. If there are any problems, please contact me and I will fix them immediately. Heidi of It’s a Wicked Good Life!